Joint Investigation Team head prosecutor Fred Westerbeke speaks during a Thursday, May 24, 2018, news conference in Bunnik, the Netherlands, next to a part of the BUK rocket that was fired on the Malaysia Airlines Flight MH17. Investigators probing the 2014 downing of the plane said Thursday for the first time that the missile which shot down the plane over eastern Ukraine traveled from a Russian military brigade. An international team of investigators said Thursday that detailed analysis of video images and photos has unequivocally established that the Buk missile that brought down Malaysia Airlines Flight 17 over eastern Ukraine nearly four years ago came from a Russia-based military unit, the clearest link yet published by the team to the involvement of Russian military in the deadly missile strike. Prosecutors said they have presented their findings to Moscow and are seeking answers, but so far have not received a response. The international team running the criminal investigation appealed for help from witnesses who can testify about the involvement of the Russian military's 53rd anti-aircraft missile brigade based in the city of Kursk. Russia has always denied involvement in the downing of the jet. Dutch prosecutor Fred Westerbeke said the Joint Investigation Team, or JIT, is not yet ready to name suspects, but added: "I can say that we are now entering the ... last phase of the investigation. When we will be ready, it' is not possible to say at the moment because there is still a lot of work to do." The Boeing 777 passenger jet was headed from Amsterdam to Kuala Lumpur, Malaysia, when it was blown out of the sky over eastern Ukraine on July 17, 2014. All 298 passengers and crew were killed. Prosecutors said in 2016 that the plane was shot down by a Buk missile fired from territory controlled by Russia-backed rebels, using a mobile launcher trucked in from Russia and hastily returned there. Thursday's presentation went a step further by identifying the exact unit allegedly involved and more details of the rocket involved. Investigators now say that their careful analysis of video and photos from social media and analysis of parts of the rocket found at the crash scene traced its journey into Ukraine and had given them a "fingerprint" identifying the rocket and where it came from. 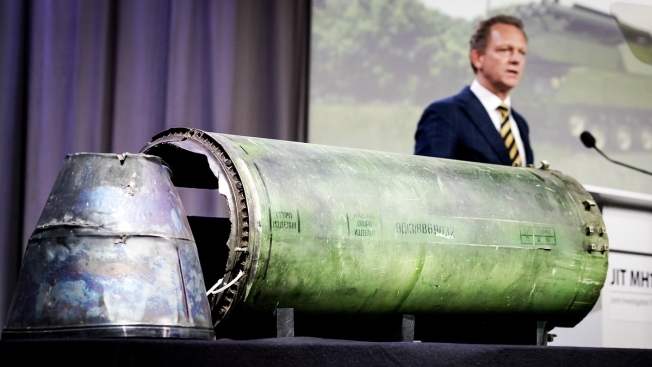 "All findings from this forensic investigation confirm the earlier conclusion of the JIT that Flight MH 17 was shot down by 9M38 series missile," said Jennifer Hurst of the Australian Federal Police. Ultimately, any suspects identified and charged will be prosecuted in Dutch courts — if they can be arrested and brought to trial. Of the 298 people killed, 196 were Dutch, 42 Malaysian and 27 were Australians. Among more than 30 nationalities killed was a joint Dutch American citizen. Dutch Foreign Minister Stef Blok welcomed the newly released findings. "This is an important piece of the puzzle," Blok said. "I am very impressed by the evidence that has been collected."